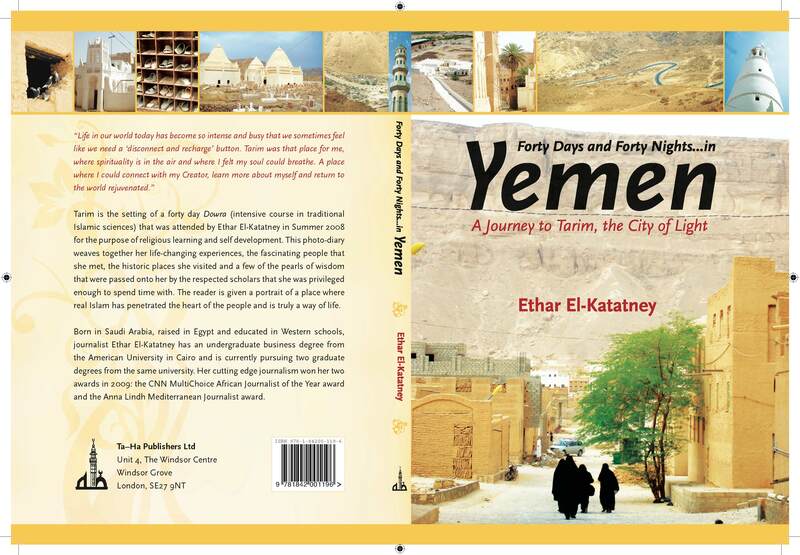 Forty Days and Forty Nights in Yemen, published by Taha Publishers in London, is available for purchase on amazon.co.uk. The book details the author’s experiences while living in Tarim, a small village in Yemen, for one summer. Tarim is the setting of a forty day Dowra (intensive course in traditional Islamic sciences)that was attended by Ethar El-Katatney in Summer 2008 for the purpose of religious learning and self development. This photo-diary weaves together her life-changing experiences, the fascinating people that she met, the historic places she visited and a few of the pearls of wisdom that were passed onto her by the respected scholars that she was privileged enough to spend time with. The reader is given a portrait of a place where real Islam has penetrated the heart of the people and is truly a way of life.